The data breach calls which are made at a frequent rate these days, and even the social media giant Facebook, is also not spared from its claws, in such atmosphere feeling scared and doubtful while securing the data on the Cloud storage is nothing trivial to be avoided. Why Is It A Concern??? The data storage on the Cloud is one of the most picked activity for the top and high ranking companies, educational bodies and enterprises to store their data using the services like Google Drive, Dropbox, Box, Amazon Drive, Microsoft OneDrive. Unfortunately, the ease of storing the data on Cloud storage also becomes prone to security attack and can become a victim of the cyber attack, letting the users risk their data and its security at the abundance. But is there a best way to ensure the data security??? 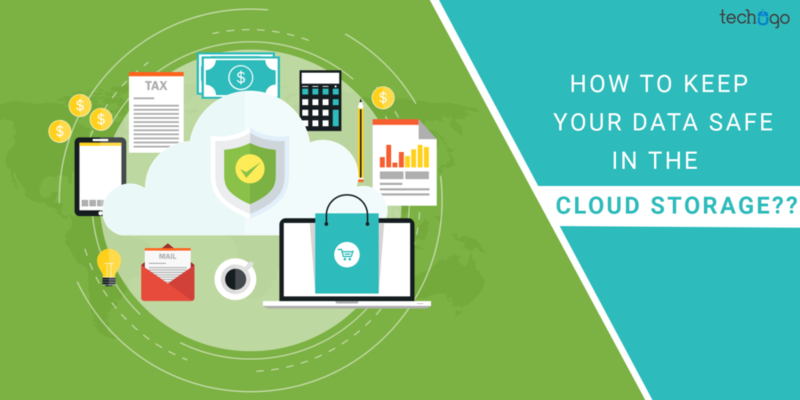 With billions of users across the globe accessing the Cloud storage to store and save their data, the security f the Cloud storage is not a question, but the concern, which is required to be addressed without any further delay. Though, I know the number of cyber attacks increasing with time and are getting advanced in their respective technology, it is a Hobson ’s choice for us to keep our data safe and secure. But the question is…is it really possible??? And this very relief can be brought into your life, by following few essentials, which if be given the consideration can help you access the data through Cloud storage without an iota of doubt to unchain the security threat. I know annual security checks are the last aspects in your mind, but believe me, it should not be derailed as the last aspect but must be taken as a SERIOUS aspect to be considered without a fail. As a company or an organization, the onus of data security for your employees relies on you, and this must not be taken for granted in any given situation. I concur with you, that security might not be your forte and you may find it tumultuous to find a leading and professionals to perform the annual assessment, but you don’t need to worry there are leading and the top-class cyber security companies; IBM, Microsoft or Amazon to name a few. Invest your time and money in attaining their services and help the vulnerable security bridge to transform into a robust shield. When it comes to cloud storage than the services which provide the local data encryption, generally offers the two levels of security, but if you are looking for the ways to gain access to data, then it must be decrypted. With this strategy you restrict the accessing of information from the service providers and administrators, and worth to mention you attain a strong and much enabled privacy dosage for your data. Is this what you thought about, after reading the heading??? But trust me there is a reason behind speaking in this context…when you pick a Cloud service provider for your data, then there are undeniably a big bunch of services available around the corner, but you must not be deviated towards a wrong service provider, after being influenced by the marketing gimmicks. You must ensure that the chosen Cloud service provider is able to transmit and store data while dictating the security at every step. Keeping a record of passwords, for me as well, always been a matter of concern. To be honest, there had been a couple of times, when I forgot my recently changed password, and had to reset, but believe me, the efforts invested at changing the passwords frequently, has the better perks. You might find it easier to keep the same password for all accounts, but this is where the mistakes begin, and you become highly vulnerable to the cyber attacks. Thus it is highly recommended to change your passwords more frequently and keep a personal data somewhere to record…with this strategy you would eliminate the chances of your data or files becoming a subject of a security violation. Pro Tip: Use Alpha numeric + CAPS combination for your passwords, never make it to easy to be guessed. You would be shocked to know that data breach most of the time, happens out of lark then for any specific and strong reason behind it. Since the data passwords were easy-to-be accessed, the hackers love to try their hands on it. The password sharing across the vicinity usually occurs on the social media platforms, which again is prone to a maximum security violation. The best strategy to beat this issue out is by letting only a handful of people to access the information of the data passwords, and from your internal policies and protocols, you must set a rule, to restrict the circulation. Yes, as the heading suggests, the backups of your data must be tested well, to ensure there is no factor which may lead to the data leak. Also, by doing this you integrate an extra security level for your data and you make your data to meet the challenges of the adverse security breach situation. Data security issue in the current time has grown to a level, where it can welcome the strong blows of scrutinization, if it failed to come across the data security parameters, thus you must keep your data secured with the above-mentioned tips, and help it to combat the intruder invasion with a security shield. On the other hand, if you are looking for a mobile app for your business, which can take the security hacks of app data, then you must get in touch with Techugo- a leading mobile app development company in Australia to help you beat the stress bubble of a data breach. Since Techugo team is filled with the experienced app architectures who would transform your app concept into a secured and scalable mobile app solution.